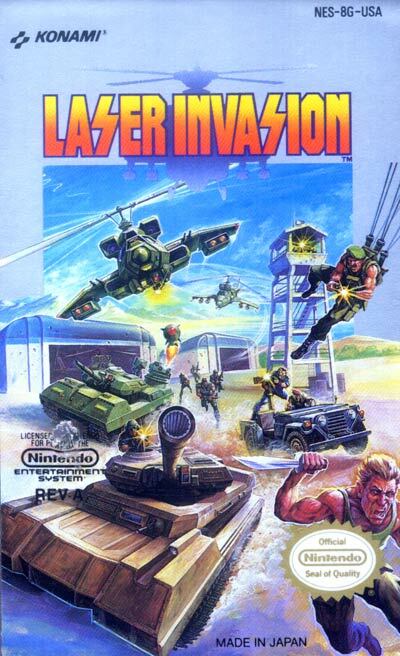 Laser Invasion is similar to the Top Gun series of NES games. Even the takeoff screen with the lifting gate and sound effects are the same as they appear on the Top Gun series. Of course, you're flying a helicopter in this one... but gameplay feels essentially the same. The standard NES controller and the NES Zapper can be used.